This side-dish totally embodies Spring-time to me. 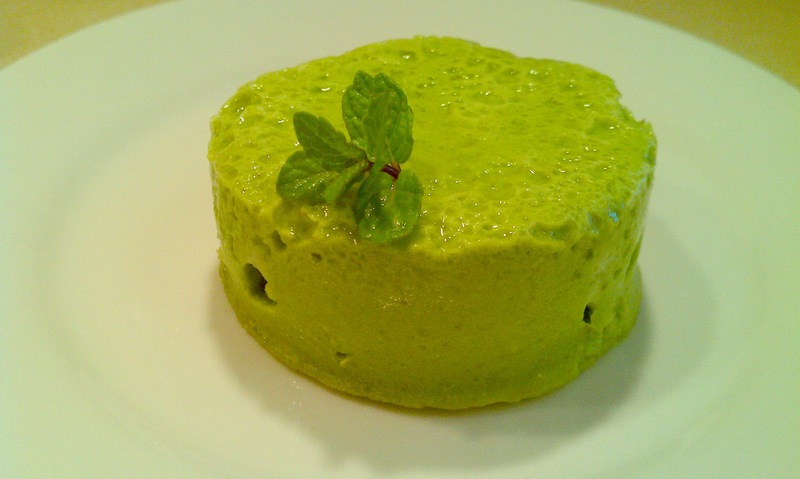 And would make a great addition to the Easter table… It’s elegant, fresh, delicious and completely cheap to make. 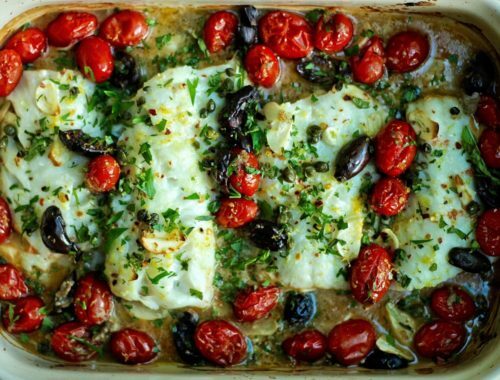 Most of us keep all the ingredients on hand so it can be thrown together in a snap for a dinner party. All you’re doing is making a pea puree and then setting it with eggs and baking it. But by the look of it, your guests will never know it was so easy. Enjoy! -In your microwave, defrost a 1 lb. bag of baby peas. 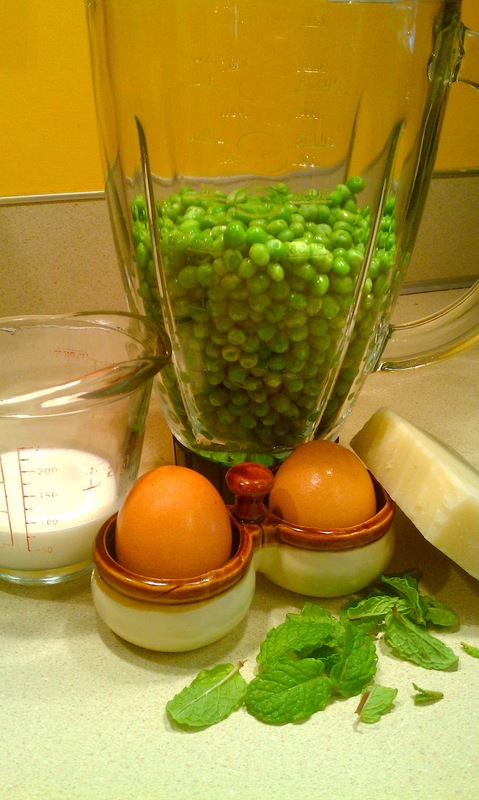 -Place the defrosted peas in your blender along with 1/2 cup of half & half or cream (whole milk could be fine too), 1/2 cup of grated pecorino romano cheese, 2 pinches of kosher salt, 1/2 tsp of sugar, and 2 small sprigs of fresh mint, about 1 TB (leaves only). 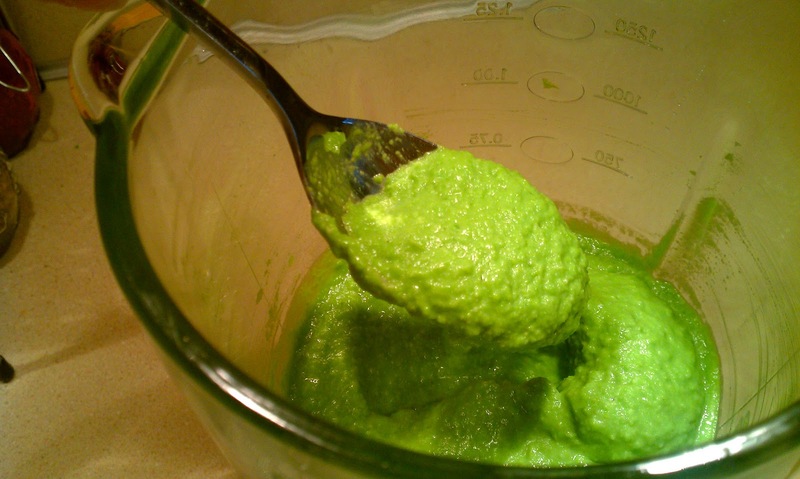 -Puree this until completely smooth. -In a large mixing bowl, whisk 2 eggs until well beaten and then add in your pea mixture. Whisk together until fully combined. -Grease 5 4.5 oz oven-safe ramekins and line the bottoms with parchment paper, then grease again. 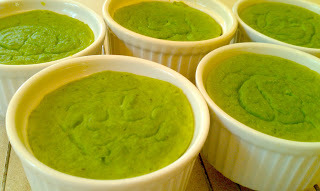 -Pour the pea puree into each ramekin. 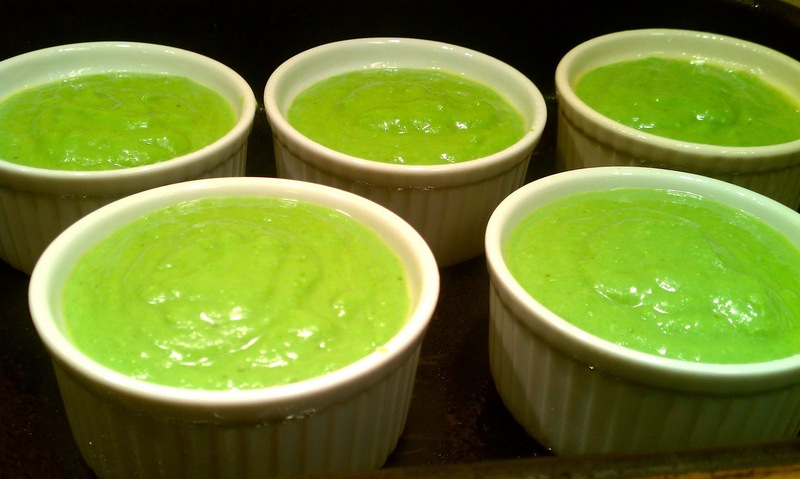 -Pour hot water into the baking dish to the halfway point of each ramekin. -Carefully place the baking dish into a preheated 350 oven and bake for 35-45 minutes, or until a knife inserted into the middle comes out clean and the tops of each custard are a bit wrinkly and the edges have pulled away from the sides. -Cool in the pans for 5 minutes and then remove the ramekins and cool on a wire rack for another 5 minutes or so until slightly warm. -Run a knife around the edges of each and carefully invert onto your serving plate. I've never heard of this but it sounds really good and looks great also. Nice color! What a cool idea Abbey! I also have some ingredients I need to use for a beet custard, thought hubby would be wowed over this and that! The color is so cool…is it me or am I just now noticing grapes on the side bars? Did you change your site? Its beautiful…love the thought of wine right now, but I might have to take a nap LOL Hope your doing great! Abbey, what an awesome healthy treat! Hope everything is going well with you & your little one. Take care & have a great day. Thank you Kristy! Very sweet.